80 Glassford Street, Glasgow. G1 1UR. 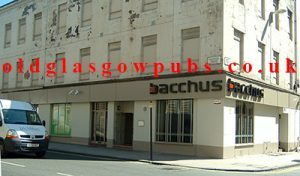 Tel: 0141 572 0080. This was once the famous 13th Note opened in 1997. 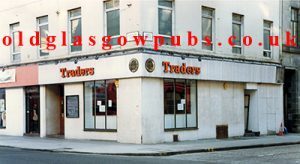 It started out as the Glassford Hotel and once had a popular bar known as the Cellar. To read more click here. 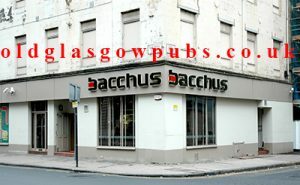 Bacchus is still alive and kicking. Do you have anything to say about Traders or Bacchus? If so please leave a comment.